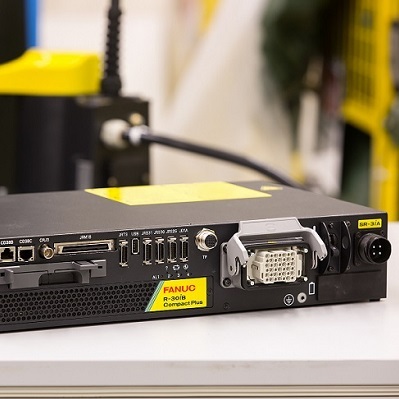 With its 3 kg payload, 400 mm horizontal and 200 mm vertical reach, the FANUC SR-3iA is ideally suited to smaller-scale assembly, pick and place, inspection and packaging applications. Operating within a 360° envelope, the model’s lightweight design, ultra-compact footprint and integrated services minimise the risk of interference with peripheral devices. 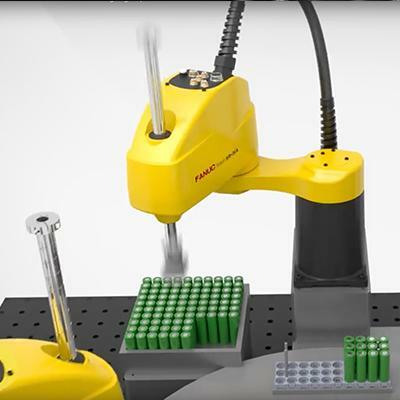 FANUC SCARA robots are exceptionally fast and precise – making them the right choice for maximising throughput. 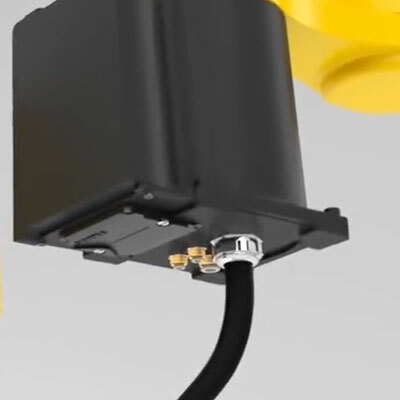 I/O, 24VDC, solenoid valves and air lines in the arm prevent interference and reduce costs. 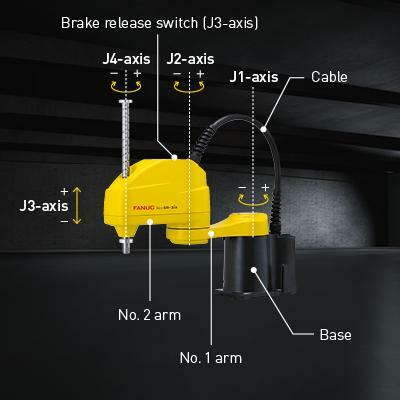 Equipped with a brake release switch on its arm, the FANUC SR-3iA ensures easy error recovery. 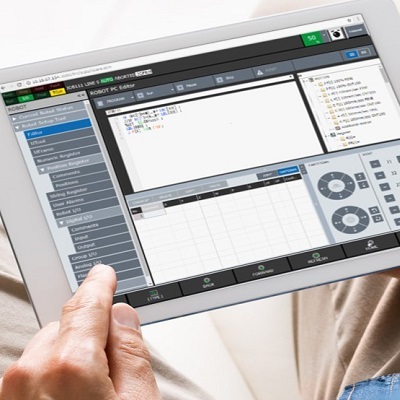 Dispensing with the need for a FANUC iPendant Touch, FANUC SCARA robots use iRProgrammer – a web-based interface that lets you program the robot easily and intuitively with a tablet or desktop computer. 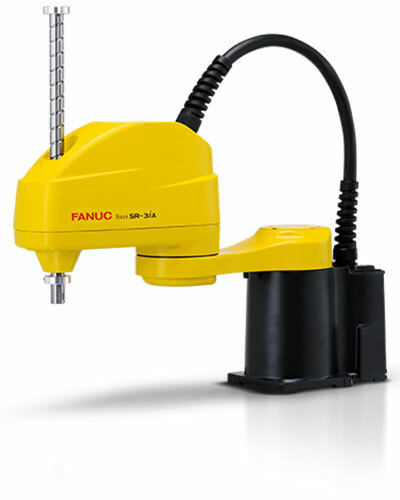 The FANUC SR-3iA is also available with a bottom cable exit and wall mounting equipment options. 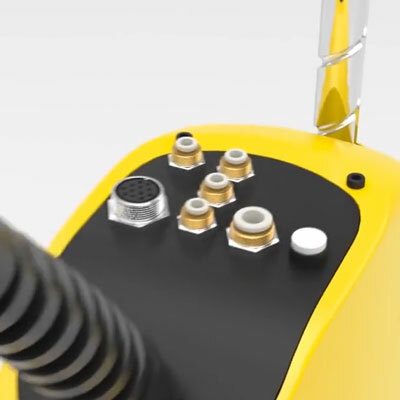 The new R-30iB Compact Plus controller makes best use of limited space and features intelligent functions such as iRVision, iRPickTool, force sensing or conveyor tracking.